From the individualized care our canine-loving staff provides to playtime with other four-legged friends, your dog has never had this much fun! 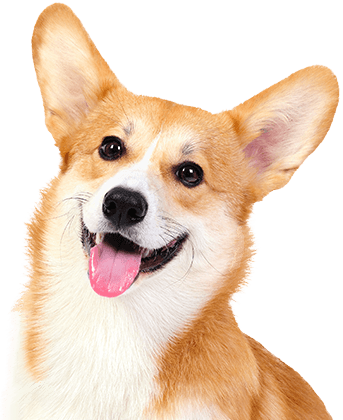 Our team understands the key elements to a happy pup and we find great joy in incorporating them into our daily activities. We believe every single one of our Campers deserves premier treatment, which is why you'll receive all of the great benefits of Camp at one upfront cost. Mark and Connie opened Camp Bow Wow in March, 2008. They spent 25+ years in the Corporate World; Mark on the Service side and Connie in Global Human Resources. After having spent so many years in Corporate America, they decided it was time to do something different with their lives; something they could be truly passionate about. Both being big animal lovers, particularly dogs, they decided to look at businesses in the animal industry. When they found Camp Bow Wow, they fell in love with the model and took the leap! They love running and growing their business. They have truly found their passion! It is so rewarding to see all the happy pups romping through the doors of Camp each and every day. 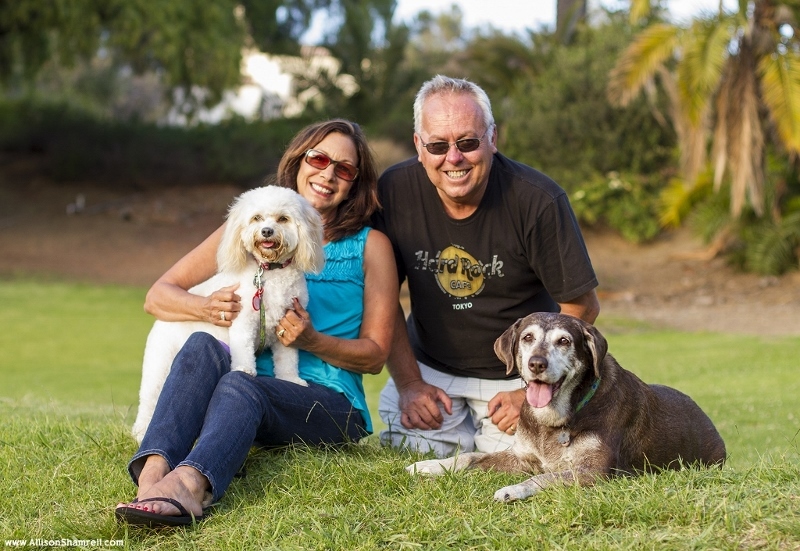 They love their team and their customers, both two-legged and four-legged alike! 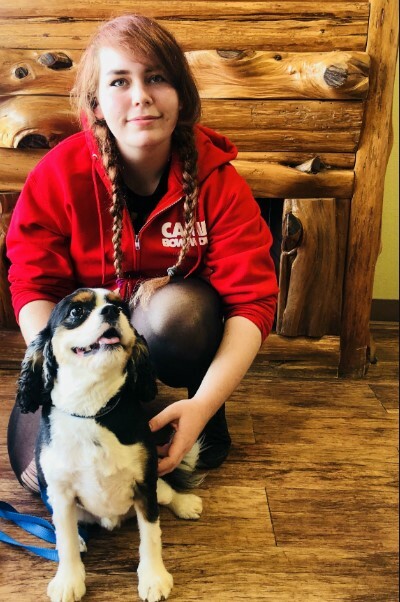 They have two fur-babies of their own (pictured here); Roxy who is a sweet and gentle rescued 12 ½ year old Chocolate Lab and her little sister Madison who is an energetic and fun–loving Cavachon (Cavalier King Charles Spaniel mixed with a Bichon). When they are not in Camp, they enjoy spending time with friends and family, traveling, camping and taking their girls on long walks at the beach. Meet Adrienne! Adrienne is a driven individual who loves animals and is very passionate about caring for them. She enjoys coming to Camp and seeing all the Campers having fun with their friends. Adrienne has two fur-babies of her own, Oliver the Golden Retriever and Lilly James the Border Collie. When she is not at Camp she enjoys going to the dog beach with the pups and the dog park. In the future, Adrienne would like to become a dog trainer! Like everyone here at Camp, Chris loves dogs! We can't say that enough about all of our Counselors! Their love and passion for dogs is what drives us to be a great team! Chris previously worked in the customer service field. He attends college to continue his education and hopes to be a k9 officer. He has a fur-baby of his own named Riley and loves taking him to the beach. When he is not at work, Chris loves to be with friends and go shopping and to the movies. Fun Facts: What I love most about my job: My favorite part about working at Camp is getting to see the dogs everyday and playing with them. My Pets: Chris has a poodle mix named Riley. Background: Danielle has had a passion for animals since she could remember. She has volunteered at different shelters and grew her love from there. She also has a passion for ballet and is an instructor at the School of Ballet Arts! In her free time she likes to dance like no one is watching. Danielle would like to grow her experience working with animals and hopes to someday work at the zoo! What I love most about my job: Danielle's favorite part of working at Camp is the cleaning, she sure loves to scrub those floors! She enjoys being with the dogs and growing a relationship with them! My pets: Danielle has four animals of her own. She has a Pitbull mix named Savage, a Vieled Chameleon named Dj Spike, a cat named Joey and a Fish named Lil Cwismema. Background: Evan has always had a passion for animals. When he was twelve years old he volunteered his time at a local birdstore. Growing up he wanted to work with animals and what better way to do that than here! Evan graduated high school and is now going to college to to get a degree in Mechanical engineer. He loves to go fishing, hiking, and drawing during his free time. We are glad to have you apart of our Camp Bow Wow pack! 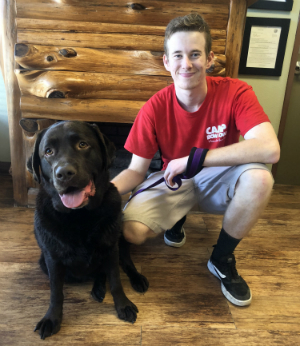 What I love most about my job: What Evan loves most about Camp Bow Wow is getting to know all of the pups and learning their different personalities! My pets: Evan currently has a Chocolate Lab named Penny and a King Charles Cavalier named Roger! Meet Miles! Miles is a returning employee and we are glad to see him back! 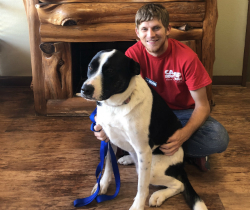 Miles loves working with animals, and not just dogs. Miles has also worked with horses and cows on a ranch years ago. He is a great addition to our team and always is driven. 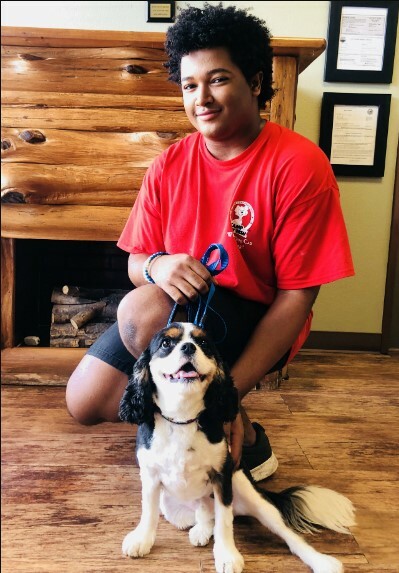 He loves enteracting with the pups and ensuring their stay here at Camp is the best! He has three dogs of his own, Lilly James and Sasha who love coming to Camp to play with all their friends! When Miles is not at work he enjoys going on adventures with his fiance and make memories with his fur-babies! His long term goal is to continue in the animal field. Molly comes to us with experience in the animal field as a groomer and pet sitter. She loves being around animals and watching over them. Although animals are a passion of hers, she also loves to draw. If you have received our report cards recently you might have seen her adorable drawings! When she is not at Camp she loves to draw and paint at home. Molly would like to attend animation school and continue her passion of art. Fun Facts: What I love about Camp: My favorite part of Camp is the dogs. I love being in the yard with them watching them have fun with their fur-iends! My Pets: Molly has three fur babies of her own. A Dauchshund named Ashlyn, a Shih-Tzu named Wicket and a Chihuahua named Chuck. Background: Rosa comes to Camp Bow Wow with experience in the doggy day care field as well as grooming. Like everyone here, she LOVES dogs and all animals in general. She shares the same passion and love as we all do which to is care for animals. . When she is not at Camp, Rosa likes to draw, read books or go to the beach. She also like to make bows out of ribbon in her spare time. Her long term goal is to graduate college and to one day own her own home. 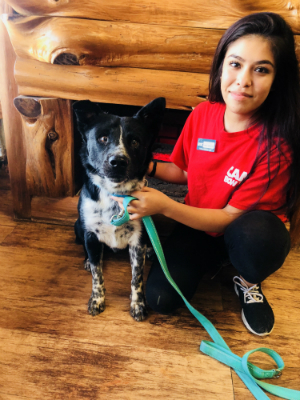 What I love most about my job: Rosa loves coming into work with a positive attitude and she loves to have the chance to give eah pup love and affection. Sabrina has been part of the Camp Bow Wow team since the very beginning. Helping Mark & Connie open Camp in March 2008, she has held various positions at Camp from Marketing to Operations as well as Training. She comes to us with a business background in Finance but her true strengths are her customer service and leadership skills. Sabrina always puts the customer first and can be counted on to jump in wherever and whenever she is needed. She is responsible for managing the day-to-day operations of Camp as well as our Dog Training Program. She is a Certified Dog Trainer. She always has a smile on her face and a can-do attitude. She has two fur babies of her own - both rescue pups. Chuey is a beautiful, sweet Yellow Lab and Poncho is a high energy Black Lab/Great Dane mix. In her spare time (when she has any, we truly don't know! ), she enjoys spending time with her wonderful family, husband Al and two beautiful daughters, Vanessa and Elisa. If you have trotted through our front door, chances are you have met Amber! 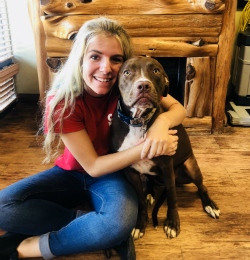 Amber is the Camp Manager and spends her time taking care of both our 2-legged and 4-legged customers. 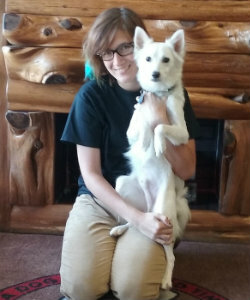 Amber started with Camp Bow Wow in November of 2013 as a Camp Counselor and quickly moved her way in to a Supervisor position. 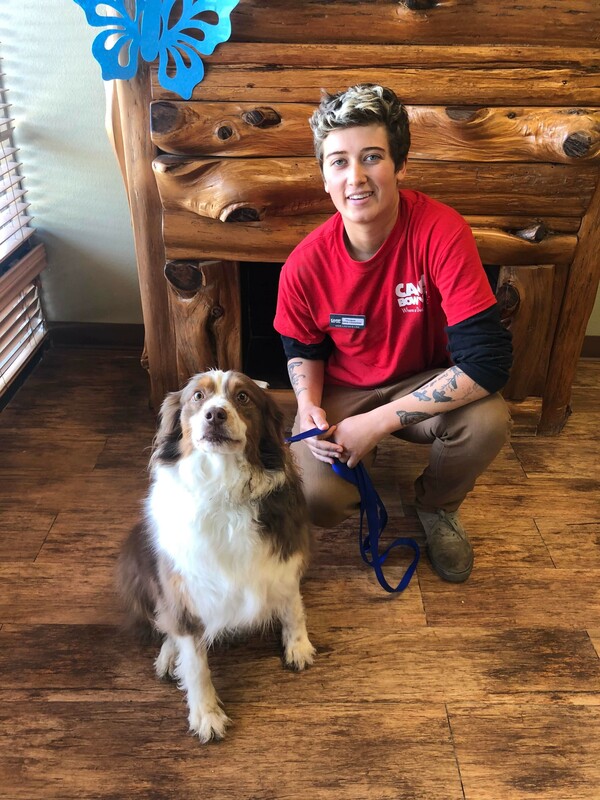 Amber came to us with several years of experience as a certified vet tech and truly is passionate about the well-being of the fur babies in our care. When Amber is not at Camp, she spends her time with her wonderful family – husband Cameron and 3 adorable children, Liam, Kenneth, and Heather Joy. As if Camp and a family weren’t enough to keep her busy, she also has 6 pets at home (yes 6!) – Watson & Penny, Basset Hounds; Thunder, Pomeranian; Nana, Beagle; Akasha, Cocker Spaniel/Chihuahua mix; Veda, Siamese cat! In her spare time (if she has any), she enjoys crafts and doing projects and drinking lots & lots of Starbucks! Background: Christina comes to us from a background revolved in the medical field. Before becoming a key member of our team, she worked at a nursing home for senior citizens as their care-taker and waitress. She has also volunteered at a rescue shelter along with becoming a certified Veterinary Assistant. 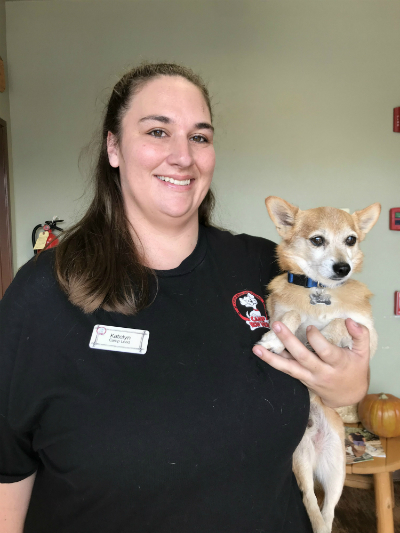 Her life-long goal is to continue in the animal field by dedicating her life to helping save abused and neglected animals. 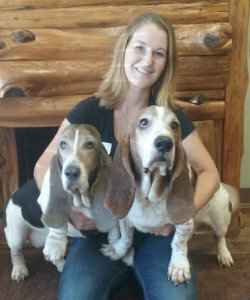 What I love most about my job: "Being able to connect with the dogs and get to know each pup’s own character. Watching them make their own group of friends and getting to snuggle with them of course!" My pets: Christina is currently an owner of 3 fur babies! A Husky named Prince; a terrier mix, Bella; and a Chihuahua named Baby. Background: Katelyn comes to us from within the animal field. 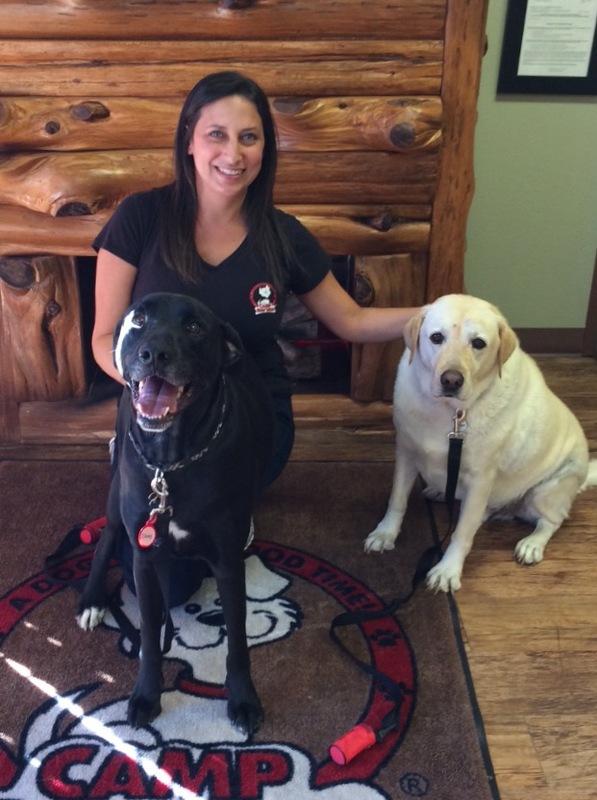 She had worked as a Vet Assistant for 3 ½ years before coming to Camp Bow Wow! She also has worked at a large animal rescue where she was able to take care of some beautiful creatures, like zebras! 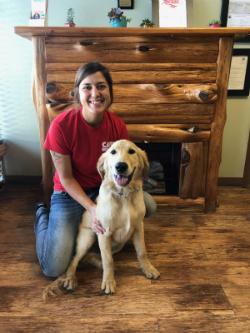 Her life-long goal is to continue to grow in the animal healthcare field and to care for animals who have had a difficult past. What I love most about my job: "I love learning each of the dog’s special qualities! Getting to come to work and do what I love every day is such a great experience." My pets: Katelyn currently has two pups of her own: Copper who is a 9 year old Beagle, and Kenny who is a 6 year old terrier mix. Background: Lance comes to us with 4 years of expierence at a prior doggy day care and catches on to new things quickly. Like our whole team, he has the passion and love for animals! He also has worked in construction but knew he wanted to strive in the animal field. In his free time, Lance likes to skate and try new adventurous activites. His long-term goal is to graduate and become a Vet tech to work with all types of animals. What I love most about my job: "My favorite part about working at Camp Bow Wow is all the energetic dogs that come in. Seeing them come in with so much energy and watching them go home pooped is priceless. My pets: Lance is a fur dad to a German Shephard named Laddie. Background: Syd is a returning employee who we adore and our four-legged fur-iends adore as well. She loves all the Campers here at Camp Bow Wow and does her job well. She sadly left us back in 2016 when she moved out of state and we are all happy she has come back home. Syd worked at Camp Bow Wow for 2 years prior and worked at another doggy day care for 6 months. 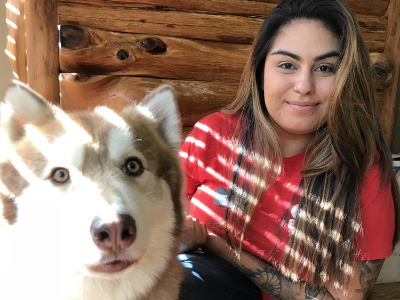 In her free time she loves teaching her pup, Parm, new tricks and enjoys taking both her pups to Fly ball! What I love most about my job: Favorite part of being on the CBW team.